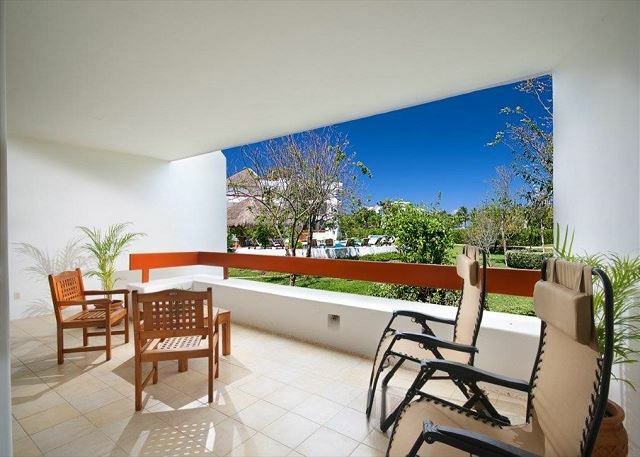 Residencias Reef 7160 One Bedroom - Residencias Reef 7160 San Francisco Beach.Great Rate! 2 Pools. 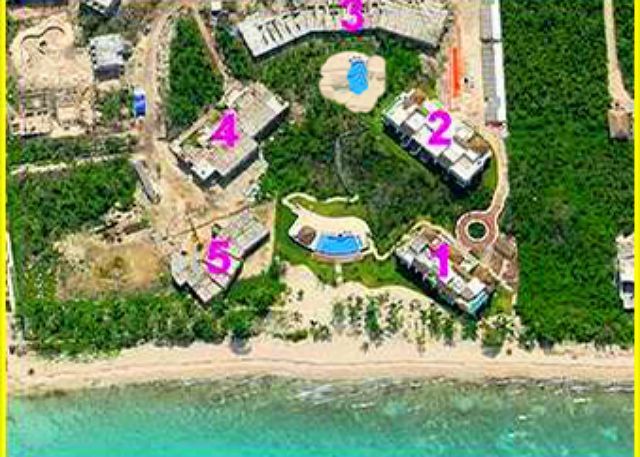 Building 3 - 7160 ONE BEDROOM UNIT: The Residencias Reef Condominiums in Cozumel are located right on San Francisco Beach, the most beautiful beach on Cozumel. Just a 5 minute boat ride to some of the greatest reefs, it's perfect for beachcombers. There's also good snorkeling just off the beach. And that beach stretches on for miles and miles so you can run or jog for as long and as far as you like. 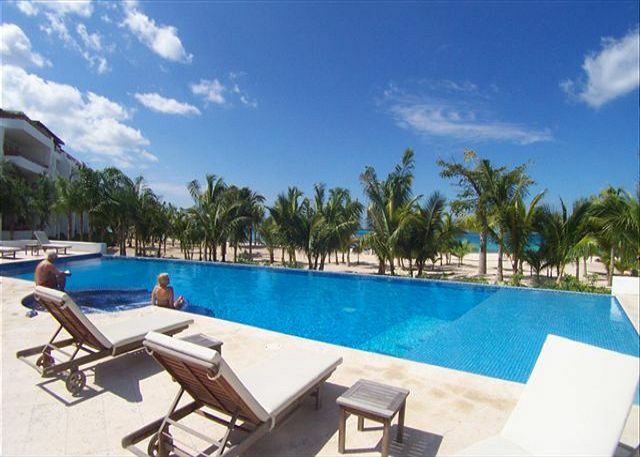 All the Residencias Reef condos have central air conditioning, maid service, and access to 2 swimming pools one of which is a large freshwater infinity edge pool right on the beach. 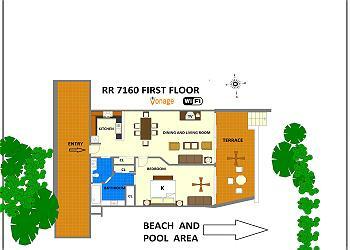 THIS CONDO IS ON THE GROUND FLOOR FOR MAXIMUM CONVENIENCE TO THE BEACH, POOL, PLUS FREE INTERNET! 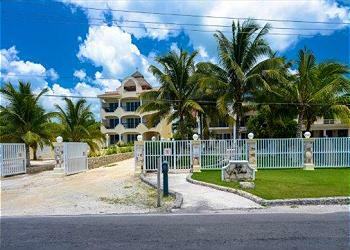 The condos are located about 9 miles south of Cozumel's only town, San Miguel where you will find a virtual smorgasbord of wonderful shops and restaurants. We booked 7160 for a 2 week stay. 2 adults, 2 kids. This room was great! Steps to one pool, a few more steps to another pool and the beach! We were close to the beach clubs to go jetsking and parasailing. Very little noise from the resort next door, no noise from the beach clubs, and overall a very quiet complex. Did a bit of snorkeling on our own beach. The housekeeper was the sweetest lady! The staff throughout the complex were polite and hardworking. Great WiFi to stay in touch with home. Our only "complaint" is we thought there was a DVD player and we took some movies for the kids to watch, but there wasn't one there. Minor inconvenience. We look forward to our next visit! 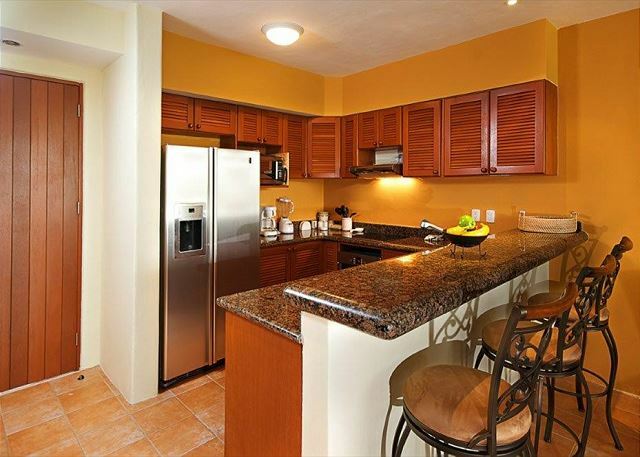 This is a lovely unit at the Residencias Reef. I love that it is on the first floor with a walk-out patio for me and my mother, who cannot climb stairs. The bed was comfortable, the furniture was great. The only let-down was the hot water never got hot at the kitchen sink when we wanted to wash our dishes by hand. We let it run for a while and didn't get any. But, hey, it's Mexico. We did the dishes in the bathroom. The lighting in the kitchen and living area is very dim at night. But I'd rather have warm, dim lights than the blue "morgue" lighting that some places have! 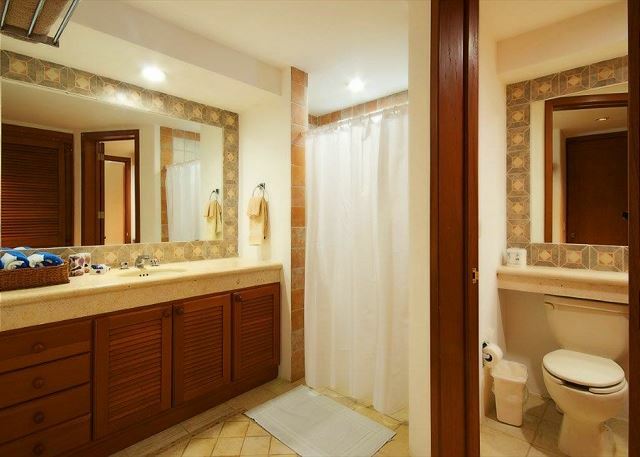 The drain in the shower is slow to drain, but that's been our experience no matter where we go in Cozumel, hotel or condo. P.S. If you cannot live without paper towels, like myself, pick some up at one of the grocery stores. Purified water is available, so no need to grab that at the store. We stayed for 3 days,nice place,and the condo is in good location, just the beach have some rocks,so you have to walk a little to find the right spot,overall the beach is very nice,quiet,I will rent again for sure. The apartment has pretty much everything you need. Had a great experience with location and staff I've been to Cozumel many times and this was my first stay at RR but it will not be my last. Thanks for a great vacation experience. Only one point of decent was the clothes dryer did not work and I didn't find out until I had already washed a load of clothes. Mildly irritating but really no big deal. All was great with the unit with the exception of the non working dishwasher and the extremely slow kitchen sink drains. Still had a great vacation overall. Units are unique, roomy and clean. Staff was all very friendly. Restaurants, parasailing and other activities are a 300 yard walk down the beach. We had a fantastic week, even though it rained a lot. 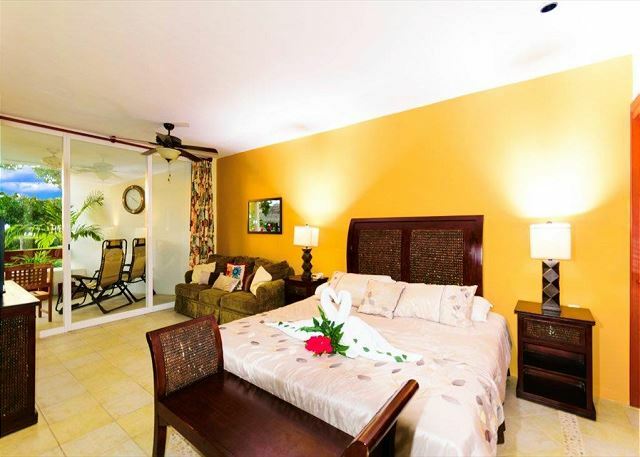 We love staying at Residencias Reef and will continue to do so for many years! The grounds are beautiful and you can't beat the views! Relaxing, roomy, quiet and clean! This unit was a perfect condo for our family of five. We felt like we had plenty of space even with a one bedroom unit. The condo was extremely clean and we felt very safe with the security at the property. The view from the outdoor space was fantastic even though this is a ground floor unit. Our kids really enjoyed the pools and the beach is fantastic. We rented a car and highly recommend it to explore the island and make it easier to find places to eat as most of the beach clubs with restaurants that are close by close around 5 pm. If your looking for a quiet, relaxing time with family this is definitely the place! It was very nice. Our house cleaner did an excellent job. It would be nice to have a grill and some basic spices in the cupboard to cook with. The grounds and pools were great! We rented a car so that worked well to get groceries and go to restaurants. 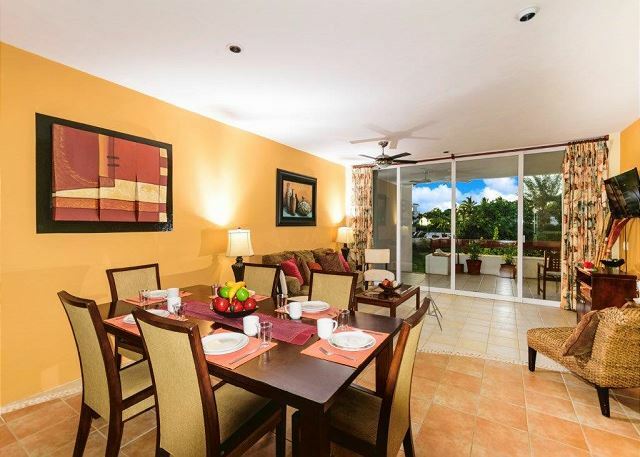 Lovely one bedroom at Residencias Reef! 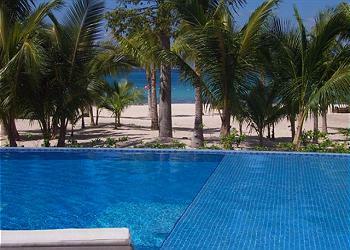 We've stayed at several units at the Residencias Reef, and this was one of our favorites. Even being on the first level, the views were fantastic. We had a little trouble with the wifi and satellite TV, but overall a very good experience. Would rent here again. We stayed for 7 days August 2015. The condo was a great place to stay. It was very spacious and roomy. The furnishings were very nice and comfortable. We were disappointed that Internet not working well. Took us a couple of days to get in touch with manager, but he gave us a solution. There is no phone, which was very inconvenient, especially with no internet. The TV only had a couple of English stations, so that was disappointing. No videos available. The patio was very comfortable, the view would have been great without the Hibiscus plant right in front. We loved access to pool out back door. 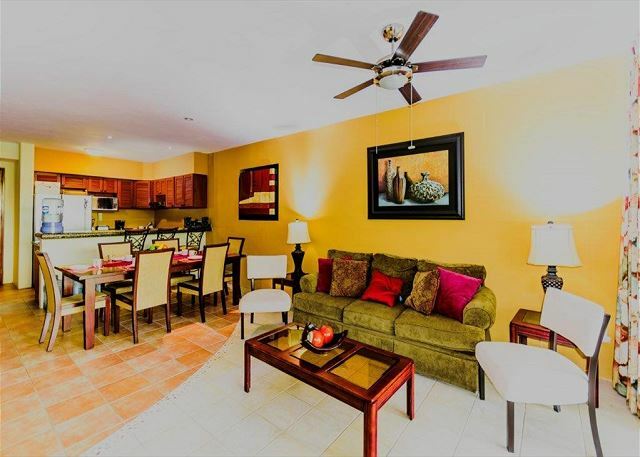 We have stayed many times in Residencia Reef condos. There are two pools, which are very fun to swim in. We absolutely love location, water and pier. It is so quiet and peaceful. You need a car, if you plan on getting to town or south end. The maid was so sweet and did a great job. We were disappointed that on website it had stated washer and dryer. But that meant maid did laundry. She did without us asking. But we like to dry suits in between swims, so would have liked access. I also was told no blow dryer, but after finding place in suitcase, got there and one was already there. The bed was semi comfortable, we wished we had had a little extra covers at night sometimes. Overall, this was a great place! Would recommend to couples and families with small children. I would recommend this condo highly! We had the most amazing experience! The condo was beautiful and very clean. The staff were so friendly and helpful. The pools and beach were wonderful and so much fun. The biggest and most important comlaint is there was NO telephone in the unit.I feel this is a dangerous situation. I used my cell phone to call Raul Silva at large expense to me, I would have had a terrible time in an emergency. I had booked this condo 7160 very early in the year and at that time it showed telephone service, I never would have booked it had I known there was no telephone. We stayed in a 1-bedroom condo in building 3. The place was more beautiful than we expected from the photos. The staff (maid, property management contact, front gate/guards) were all very competent and friendly. Raul, our management contact, stopped by whenever we had a question (like how to use the very high end electronic stoves) and even went into town to get a drawing pencil for us. The heated pools made them very comfortable and usable. The beach area was great for sunset viewings. We would return without hesitation. Beautiful condo...well kept, comfortable bed, clean, very spacious, great amenities like a coffee maker, dvd player, dish TV, blender, etc. spacious deck, first floor...overall amazing! 11 times to Cozumel. The Wi-fi code was not included in the paper work, which meant we had to wait for the weekend to pass to obtain it. Would be a good idea to add it with the lock-box code. The mad service is unreal. The first day my friend thought the underwear and shorts he left on the floor were taken. Shortly after the maid showed up with them washed, dried, and folded. Every day she washed our dishes, mopped, scrubbed... you could eat off the floor. I loved that there is no check-in. You get a lock-box code and when you arrive you have immediate access to your place. Aside from the disfunctional washing machine and lack of a large pot (to cook pasta), our stay was wonderful. Loved the beach and pools. 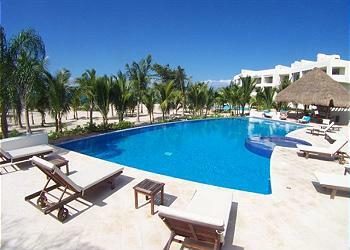 Loved the condo, great beach, friendly staff, Javier was very helpful, would definatley stay again. Really enjoyed the groud level condo. The manager was very helpful in solving a problem with the pull out bed being too uncomfortable. If you are looking for a quiet place on the beach, this is it. 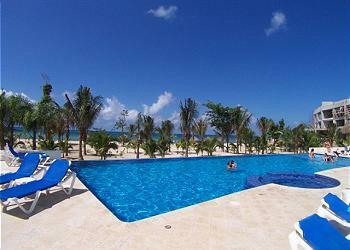 The pool sits on the beach with palm trees and a veiw of the blue waters of Cozumel. If you are a diver Sand Dollar sports is next door with the pier right out front where you are picked up by the dive boat. The condo was very nice, with all the comforts of home. I highly recommend this place. We would book there again in a heartbeat! There were a couple of nights when several young people had very noisy parties. It would be nice to have someone like the gate guards to call on to tell the partiers to hold it down. 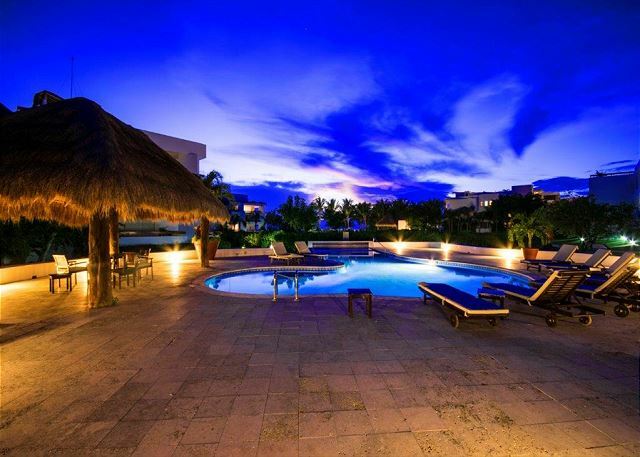 We have stayed at the Residencia many times, love the property have even considered purchasing a home. This time for the first time was disipointed with my unit, everything seemed half , not enough towels, furnishings minimal, door knobs broke,we have a mountain home that we rent and would be embaressed if we were to rent it to someone in that shape. We will rent again because we are big divers and love the place, we just won't rent 7160 0r 7150. Also you need to inform people of the new cost by Sand dollar sports to use the pier, have been diving off that pier for five years and have never had to pay a fee, suprise, also tell them never to use sand dollar sports for any activities they only care about the money not the experience. Internet did not always work the way it should have. beach towels would have been nice. Viewing the property through the internet was all that I was able to see and the details that were listed were all accurate. The property was very well maintained. The one bedroom we stayed out was very nicely kept, clean and quite large for a one bedroom. I enjoyed the peace and quiet of not being at a hotel type of setting. 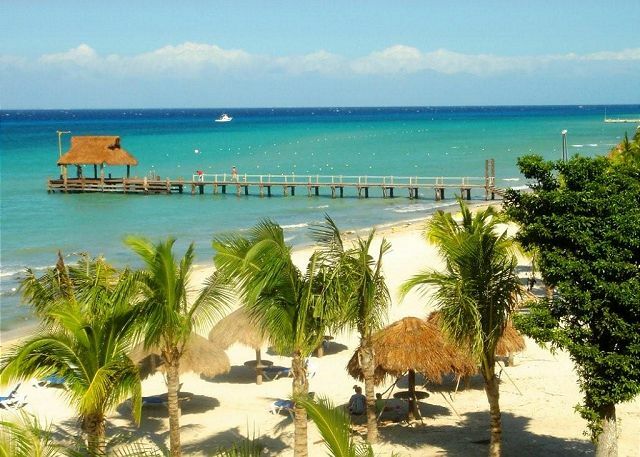 I would certainly return back to this property if I were to return back to Cozumel. This was our second year staying at the Residencias Reef. 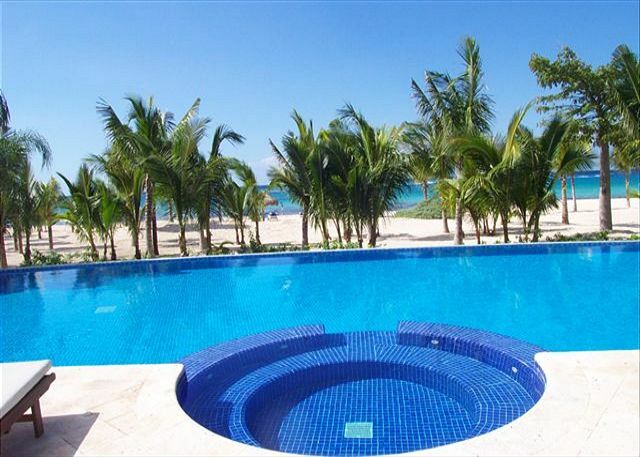 It is a beautiful property with a gorgeous beach and 2 kid friendly pools. The condos are high quality and very clean. Highly recommend staying at the RR. The only concern we had with the unit was there was mould in the bathroom ceiling and for that reason we had to leave the bathroom exhaust fan on.Other than that it was a pleasant stay.